The Dell Precision Tower 3000 Series is a fully customizable, entry workstation certified to run professional applications ideal for people who need the performance and reliability, but felt a workstation was out of their budget. 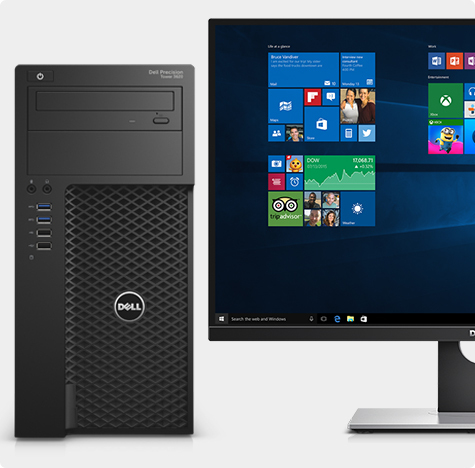 Every Dell Precision is designed around innovation, performance and reliability. We understand the importance of time and workflow for all professional creators. With this in mind we design technology with the most innovative performance technologies, and work with our software partners to test and certify all Dell Precisions, so that we maximize performance and minimize downtime.